Enchantment Realty and our predecessor, Stiles Realty, have been a major part of the Grant County real estate scene since 1980. We love Silver City and it shows! Get a taste of our great Southwestern hospitality. We can not wait to show off our area; the fabulous climate, wonderful people and the fine properties we have to offer. The Enchantment Team, will serve all your real estate and property management needs in Silver City, Grant County and Southwest New Mexico! Click on the "Search MLS" button to search the listings in the local Multiple Listing Service! This database has nearly all the listings of member Brokers. If you find a property you like give the Enchantment Team a call at 800-456-3132, (575) 538-2931 or click here to email. Nestled in the foothills of the Gila National Forest at an elevation of 6,000 feet, Silver City offers visitors an "E n c h a n t e d E x p e r i e n c e !" For a vacation, a weekend get-a-way, or a stopover while visiting the Southwest, Silver City is the perfect destination to hike to ancient ruins, discover bubbling hot springs or browse downtown art galleries and a variety of unique retail shops! Southwest New Mexico is a great spot for any of your outdoor activities; whether it be hiking, birding, horseback riding, golfing or fishing. You will enjoy crisp clean air, sunshine and our FOUR GENTLE SEASONS! We are licensed real estate Brokers and REALTORS. We participate in the local Multiple Listing Service, therefore have access to nearly all listings in the area. See a property that you like? Please give us a call and let us assist you! 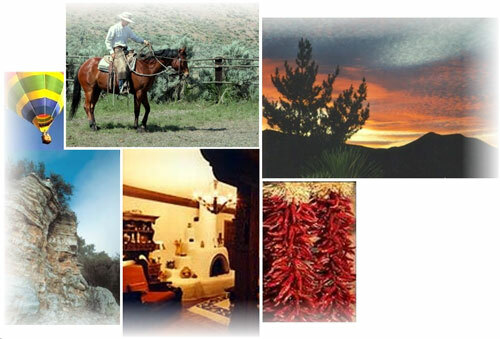 We serve all areas in and surrounding Silver City and Grant County, New Mexico. Our services include: Homes, Land and Commercial property listings. Our Brokers work with buyers and sellers looking for a retirement home, relocation, property management, subdivisions and new construction. Copyright© 1999-2015 Enchantment Realty - this site may be used by consumers for their own use only; any commercial use not expressly authorized by Enchantment Realty is strictly prohibited.